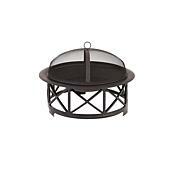 Envelop your guests in the inviting 41,000 BTU heat of Hanovers round wicker patio heater. 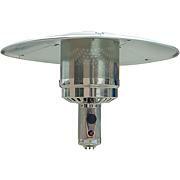 It is a great addition to any patio for year-round outdoor comfort. 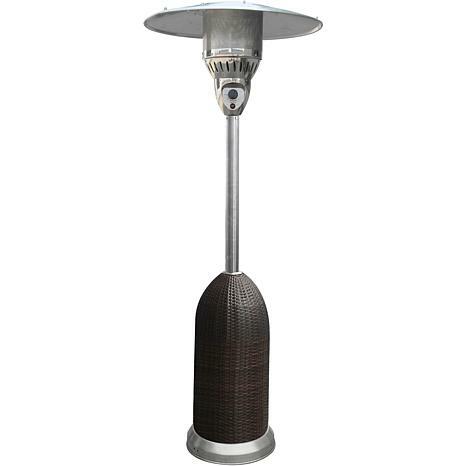 With a variable control knob that ranges from low to high heat, this 7-ft. patio heater offers customizable comfort that can be utilized all year long. 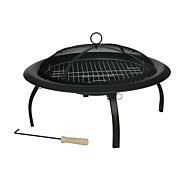 Cool summer nights and crisp autumn afternoons beckon for the casual elegance of the wicker-wrapped, steel constructed body with a 16.4-ft. heat radius. 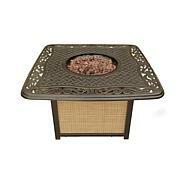 Choose from Black Wicker, or Brown Wicker with Stainless Accents to complete your outdoor sanctuary.